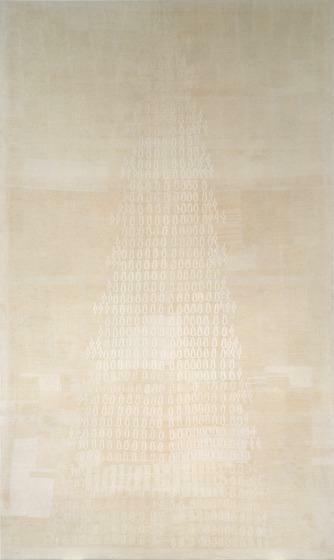 The tree-like form on this delicate tapestry is composed of two symbols that represent increments of time. Alighiero Boetti used these signs to record the ringing of the bells at the church of Santa Maria in Trastevere in Rome, Italy. The oval shapes mark chiming at the half hour, and the small curls signal the quarter hour. 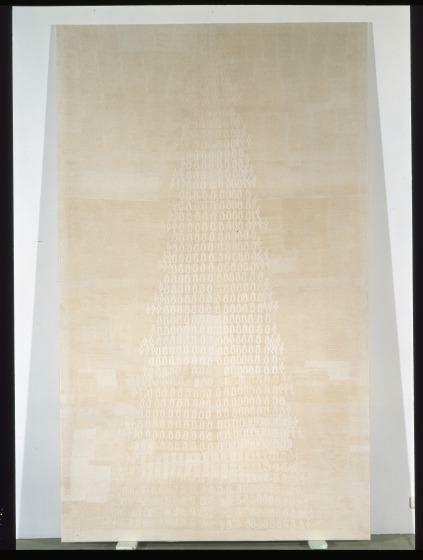 Boetti hired Afghan artisans to weave these forms into a tapestry. 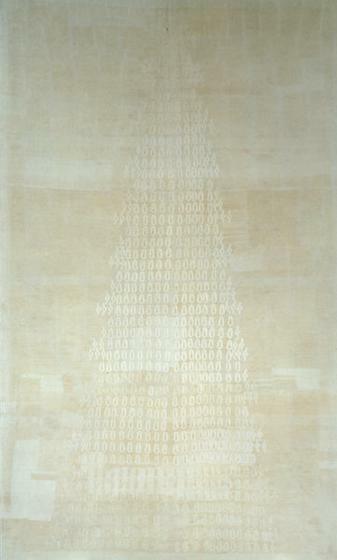 The element of time, a theme that Boetti felt was "fundamental . . . the main element in everything" is thus subtly present in this work. Charles Wylie, Label text, 2006.